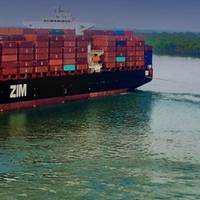 ZIM Integrated Shipping Services (ZIM) ranked first in schedule reliability on the Asia - US East Coast trade, said a press release from the company. 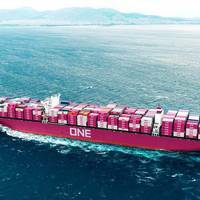 According to the recent Seaintel Global Liner Performance Report for June 2018, ZIM is the best performing carrier on the Asia - US East Coast trade among the top-19 companies reviewed. 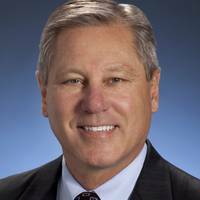 ZIM President & CEO Eli Glickman said: “ZIM’s performance on this trade has been consistently one of the best in the industry, with reliability levels above the industry average. 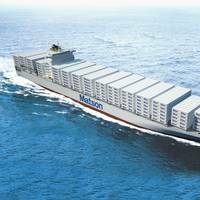 ZIM is one of the leading carriers in the global container shipping industry. Tajikistan is interested in supplying cargoes to international markets through the Caspian Sea, Ambassador Extraordinary and Plenipotentiary of the Republic of Tajikistan to Azerbaijan to Azerbaijan Soli Rustam said during his visit to the Azerbaijan Caspian Shipping Company (ACS). ACS Chairman of the Shipping Rauf Veliyev informed the guest about the activities, carried out in Azerbaijan in the field of maritime transport, the successes, achieved in the process of updating the fleets, and the contribution of AZerbaijan to the development of transport corridors. On 2 January, APL and Guam celebrated the New Year with APL Saipan’s maiden call at the Port of Guam, officially commencing the weekly service for the Guam Saipan Express (GSX) service. The US flagged APL Saipan joins its sister ship, the US flagged APL Guam which first arrived in Guam a year ago. The GSX service now has its frequency doubled, capacity increased by over two folds and transit time from the US Mainland to Guam and Saipan improved by three days. 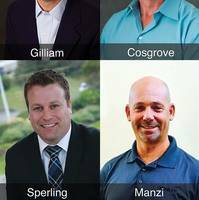 “APL’s enhanced GSX service is designed with the inputs of customers for customers. 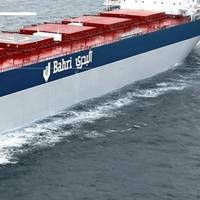 National Shipping Company of Saudi Arabia (Bahri), the exclusive oil shipper for Saudi Aramco, made a net profit of 327.8 million riyals ($87.4 million) for the three months to Dec. 31. That compares with 566.4 million riyals in the fourth quarter of 2015. 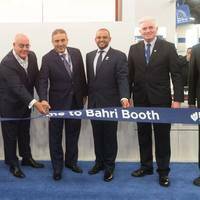 For the year ending December 31, 2016, Bahri has reported a net profit of SR1.76 billion ($469.3 million). The company registered net revenue of SR6.78 billion ($1.8 billion), and earnings per share (EPS) of SR4.48 for the year, it said in a statement. -Lower spot market rates in general and specifically in Oil transportation. South Africa’s competition watchdog is seeking to fine Japan’s Kawasaki Kisen Kaisha (K-Line) as much as 10 percent of its annual revenue in the country for colluding on a tender for the transport of Toyota Motor Corp. vehicles, reports Reuters. The commission believes action must be taken against it for price fixing‚ market division and collusive tendering involving the transportation of Toyota vehicles from South Africa to Europe‚ North Africa (Mediterranean Coast) and the Caribbean Islands via Europe‚ West Africa‚ East Africa and Red Sea (Latin America) by sea. Palatka, Fla. shipbuilder St. Johns Ship Building (SJSB) said it is currently constructing the first of three new vessels in a series of 190 foot landing crafts for a Caribbean group. This vessel will be powered by twin 700 HP Cummings QSK19 with Schottel rudder propellers. 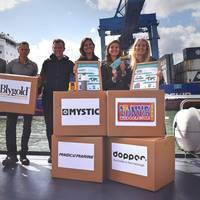 The vessel will also include a 22 inch electric Westmar bow thruster, a hydraulic bow ramp and two 99 KW John Deer generators. 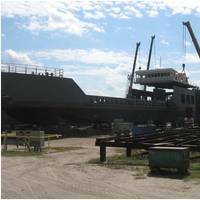 This landing craft features open deck with 6400 square feet of cargo space. A raised two story deck house on the aft of the vessel allows for unimpeded cargo room from the bow to stern. 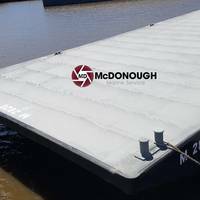 McDonough Marine Service has launched its latest barge design series at the Westport Orange Shipyard in Orange, Texas. The M 2820 (282’L x 54’W x 12’6”H, with 3,000 lbs/sq.ft. 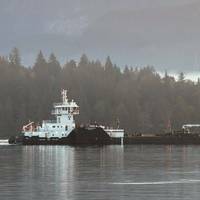 deck load rating) was delivered on-schedule, and is expected to bring greater possibilities to Project Cargo transportation on the inland waterways. 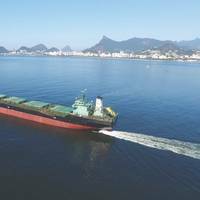 “As growth continues to develop in the infrastructure, petrochemical and power generation markets, the engineered components and modules are increasing in both size and weight,” stated Pat Stant, President of McDonough Marine Service. 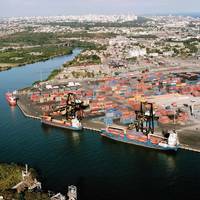 Economical repairs are being applied to rapidly corroding steel and concrete structures in U.S. ports and inland waterways. The new repair systems – PileMedic & SPiRe – might just be what the doctor ordered. 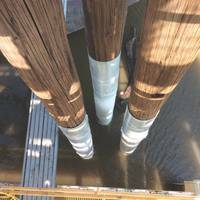 Recent advancements in using Fiber Reinforced Polymer (FRP) for major structural repair and strengthening of submerged marine piles made of concrete or even timber has led to an economical, less invasive infrastructure repair solution for inland port development compared to current systems. In connection with the increased cargo transportation by accelerated container trains en route China/ Europe/ China, UTLC JSC jointly with Belintertrans-Germany LLC, with assistance of the Belorussian Railways Baranovichi Division, is introducing an additional container train route via Kuznitsa/ Bruzgi border crossing. On July 31, 2017, the first container train departed from the Lodz to Chengdu Station in this route. The container train has 41 40” containers with assembled cargo.